A tally of recent gifts. My mother sent me a light-weight canvas bag for Christmas. 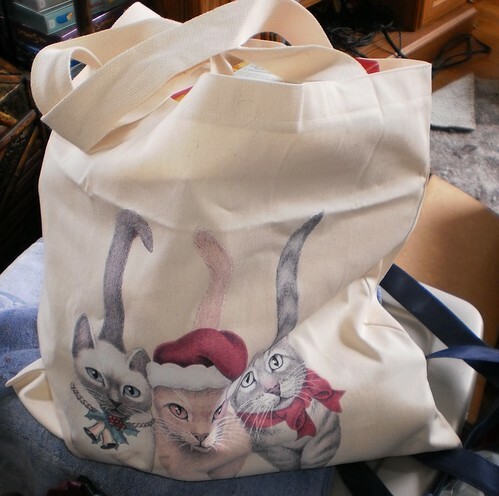 It's not just any bag, mind you, it's got cats on it! See? Christmas cats, no less. It's a very sturdy bag and I've used it twice already. I keep it with my other bags. For Christmas, my niece, Christina, gave me a mug. It came in a humorous box. She left the box with my mom in the event I managed to get to Iowa at Christmas. As that didn't happen, mom shipped the box to me in January. It's a great mug. It's 15 ounces which is about an hour's worth of sipping. 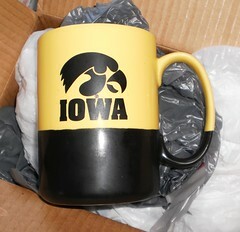 The inside is black so it retains heat, plus, this is a heavy mug. It doesn't tip over easily. Stellar design on the front, too, I might add. And Valentine's Day brought a lovely couple of gifts from my daughter and son-in-law. The first gift was socks. You can see they are not just any kind of socks. 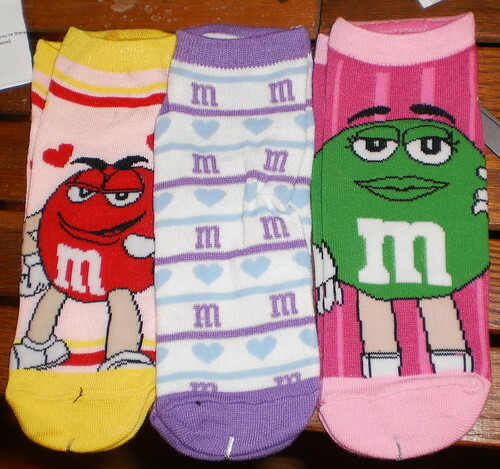 They are very important socks. I had actually been looking through my socks as I wash them. Some have reached the point where darning or sewing shut the holes just won't do anything for the sock. These come at just the right time for me to critically ask, "Can this sock be saved?" Lastly, she sent a gift card for one of my favorite places. 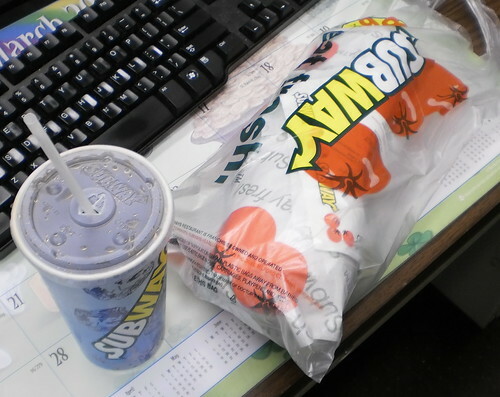 I went there at lunch today. I handed the gift card to the gal behind the register, who knows me by sight. "Ooooh, Who gave you a gift card?" "My daughter," I said, beaming. "Well, she certainly knows what you like, doesn't she?" Yeah, actually, she does. If you read the blog, you know what I like and what makes me happy. I guess that makes me easy to buy for. I'll take it.